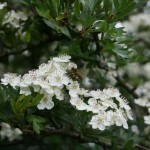 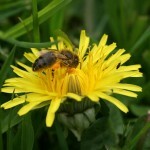 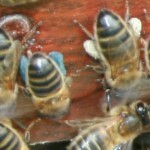 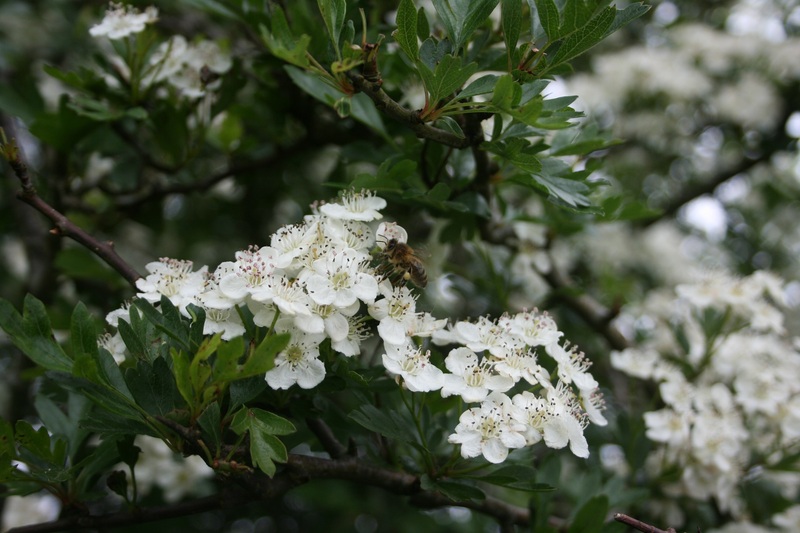 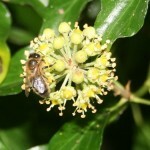 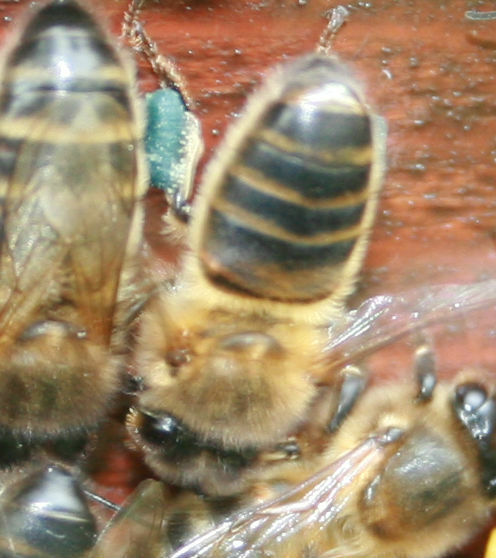 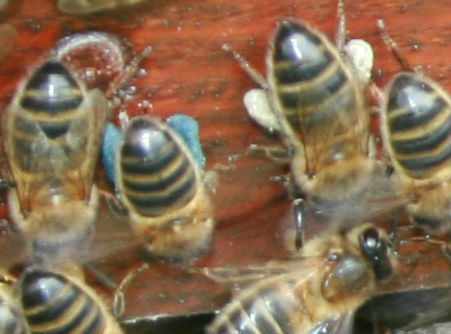 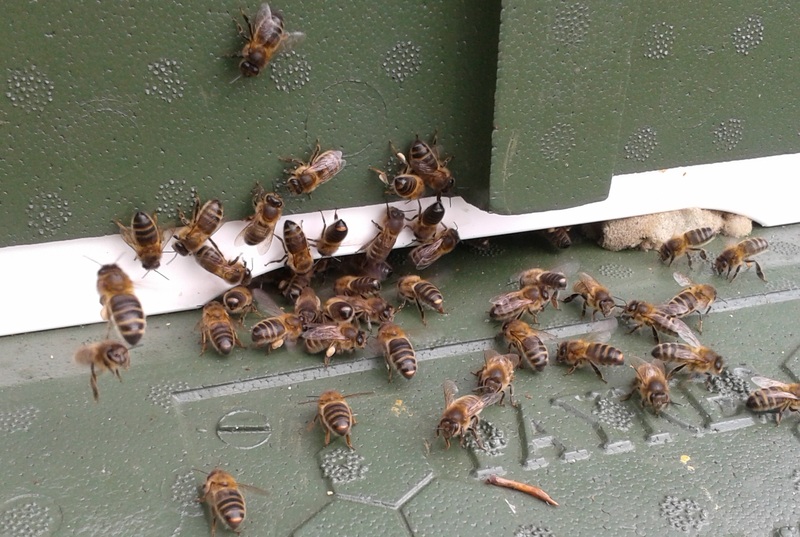 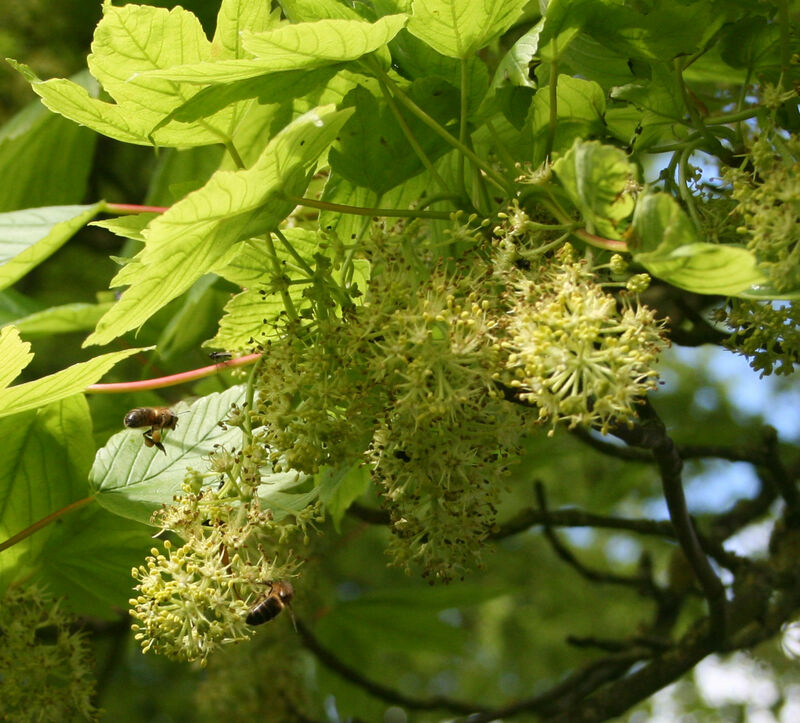 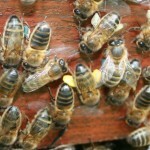 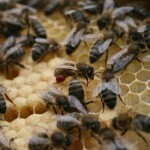 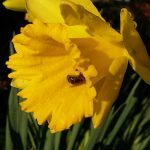 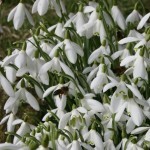 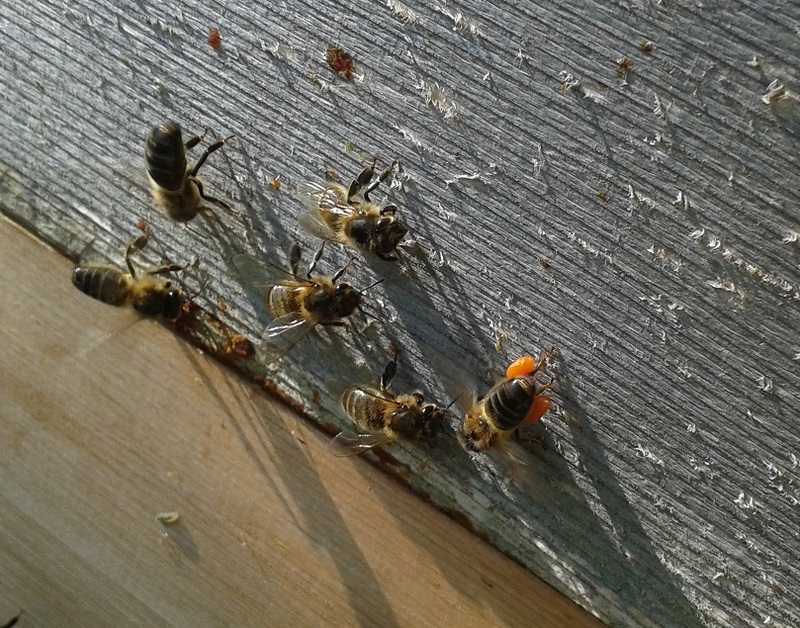 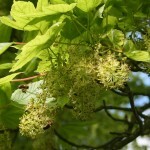 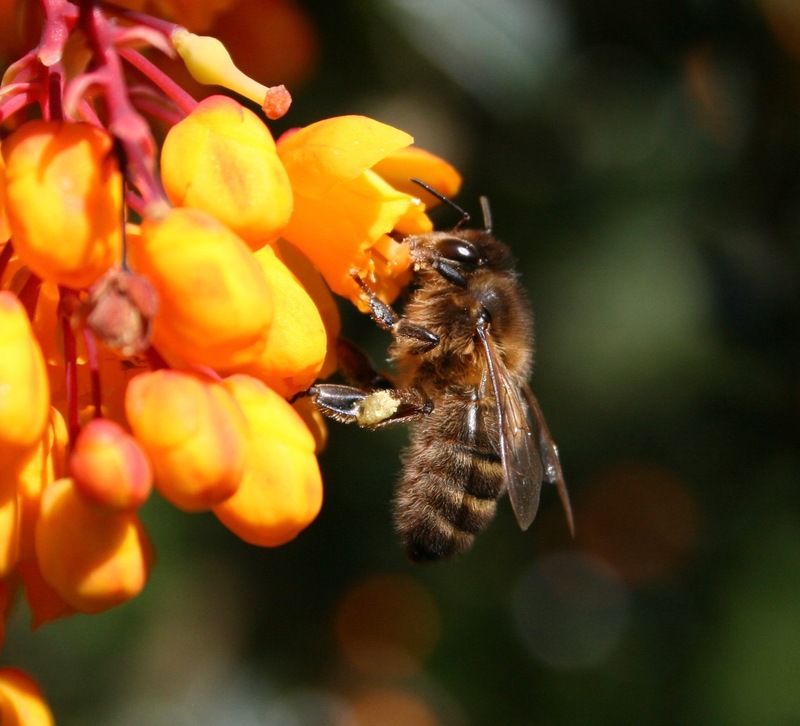 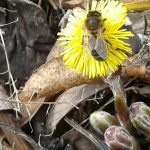 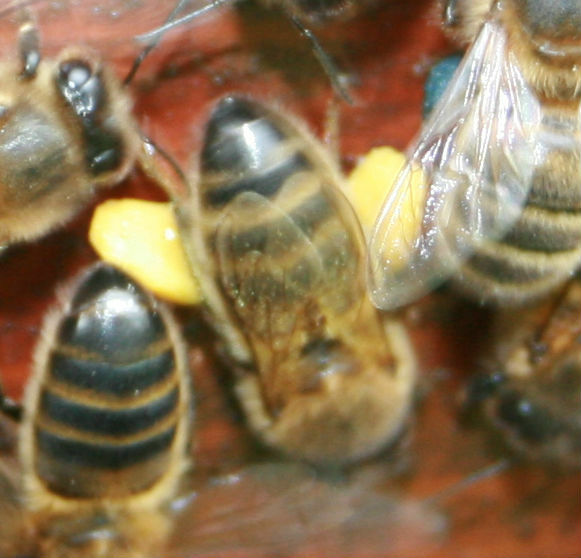 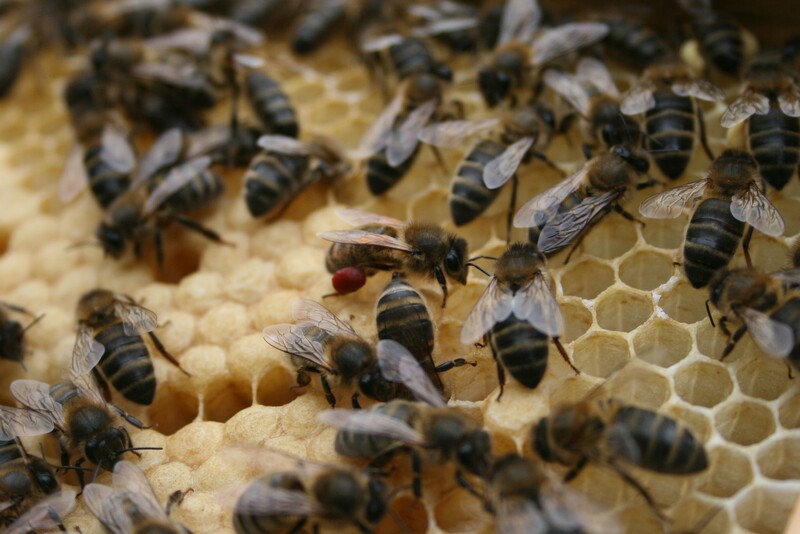 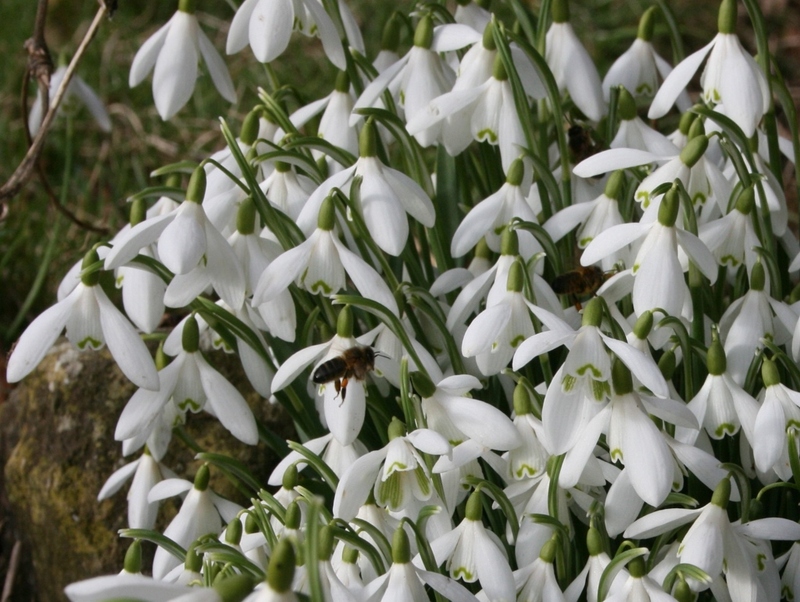 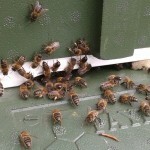 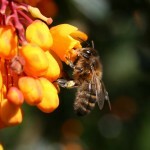 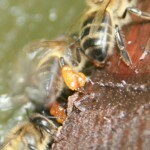 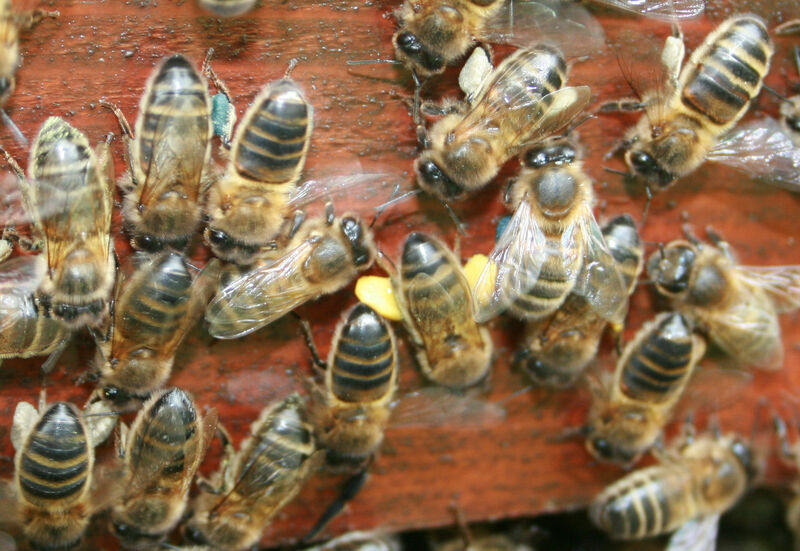 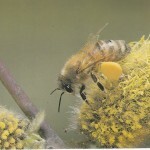 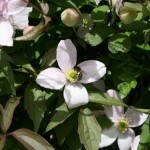 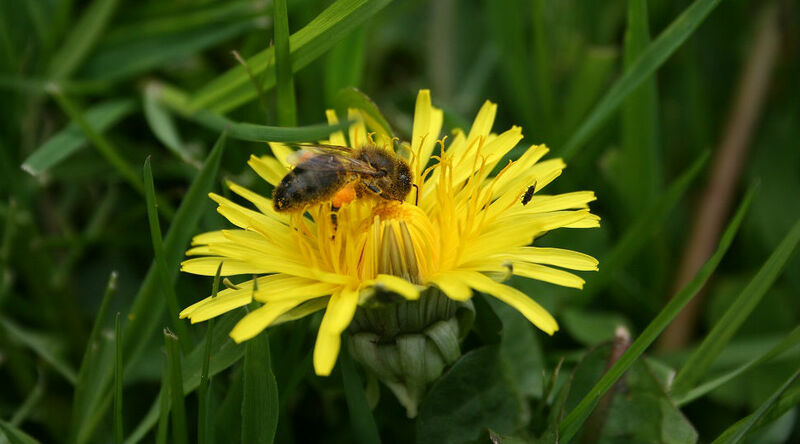 Identify the source of your bees’ pollen loads. 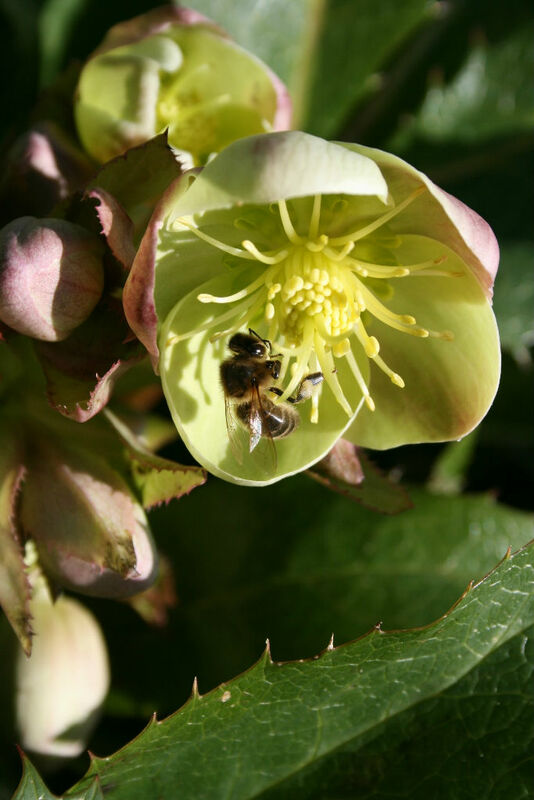 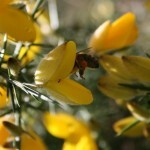 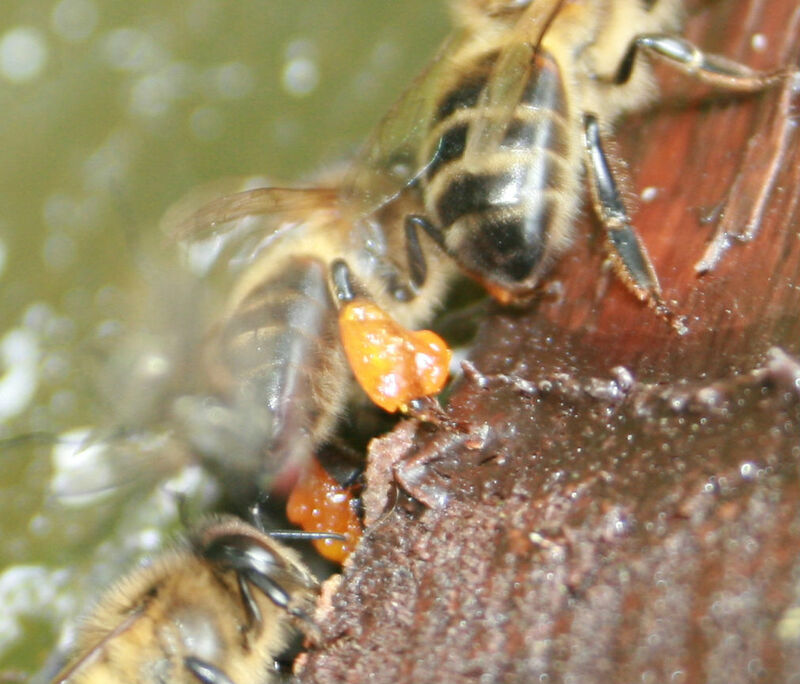 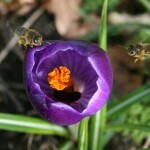 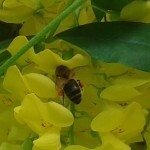 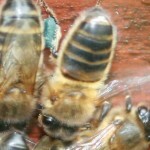 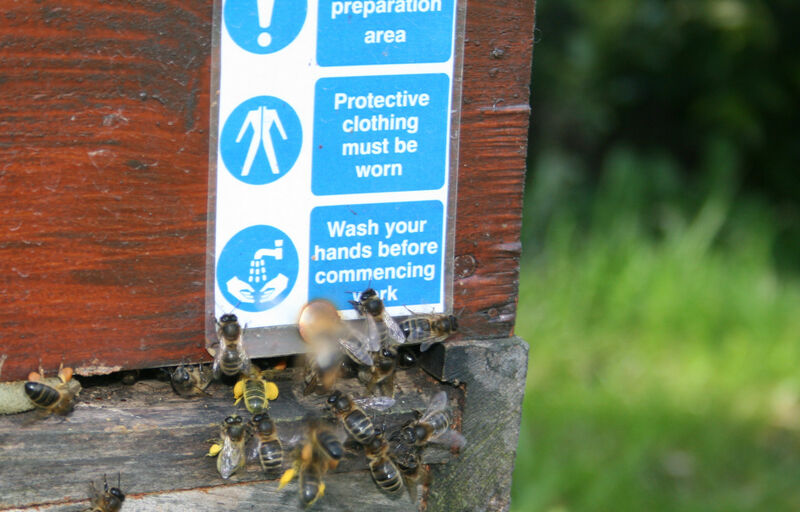 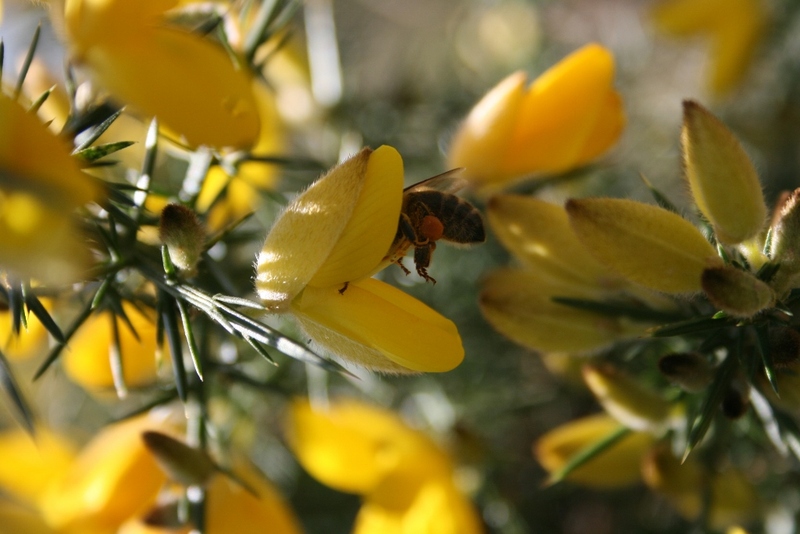 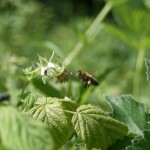 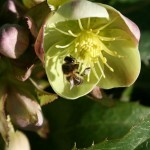 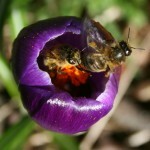 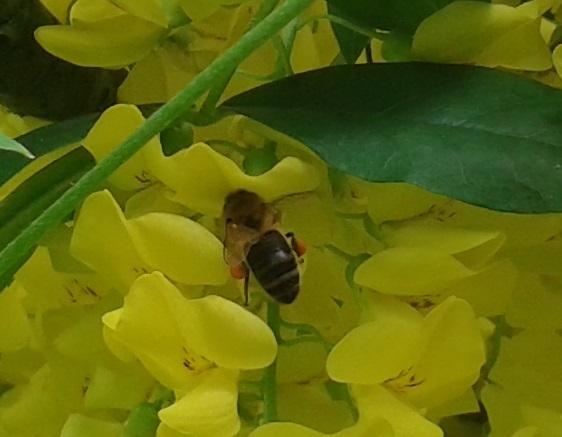 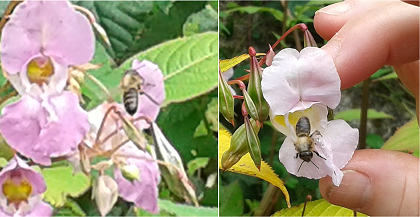 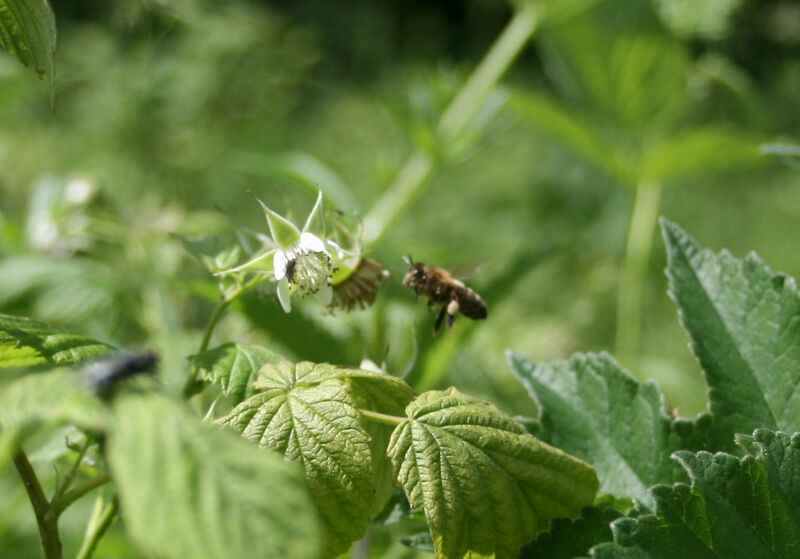 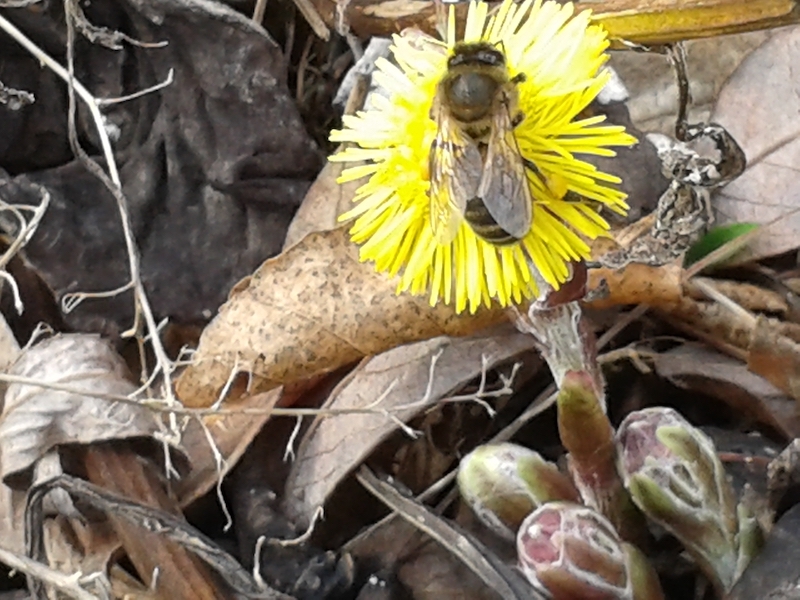 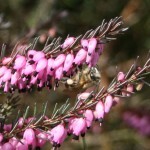 Here are some photographs of bees caught in the act of gathering pollen. 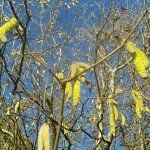 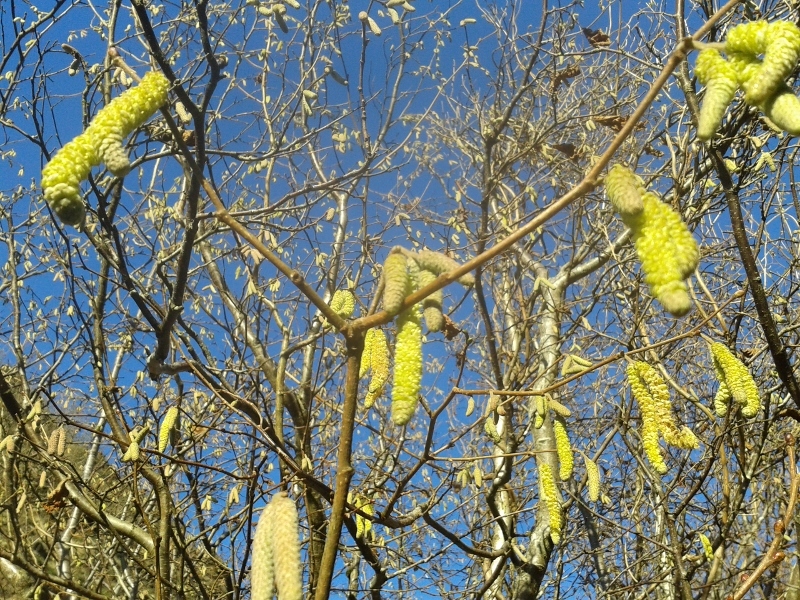 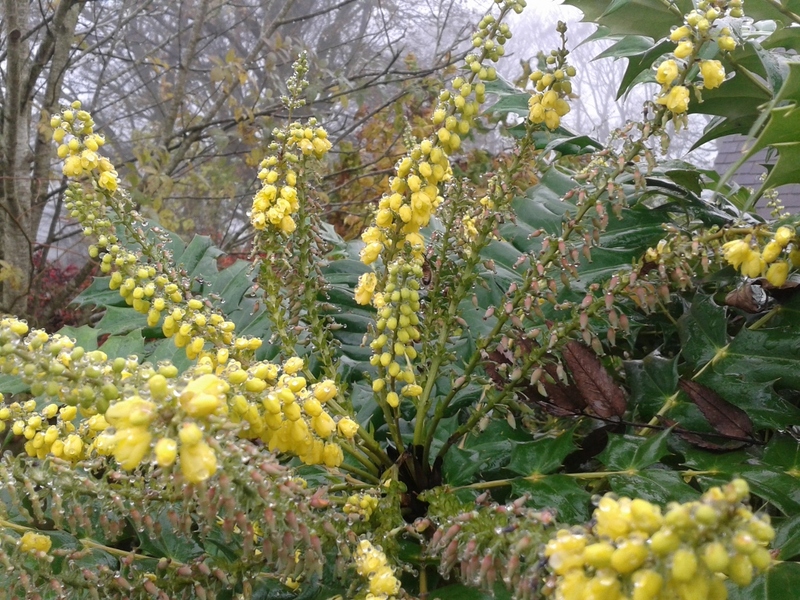 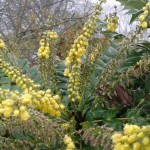 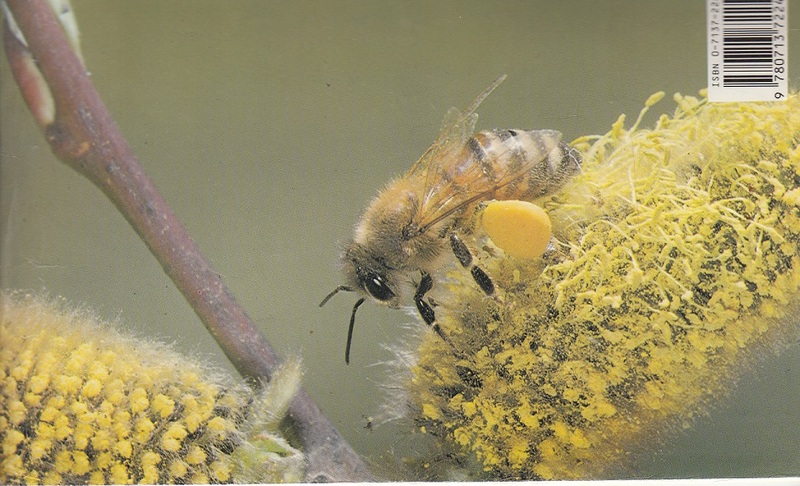 Click on each picture for a better view of the pollen colour. 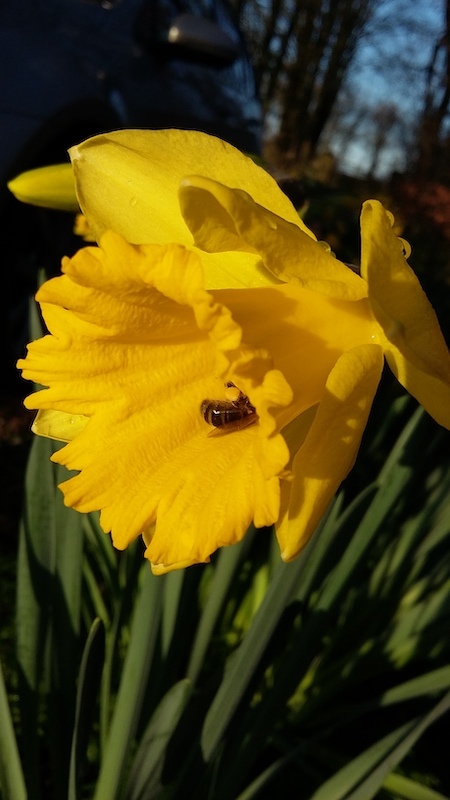 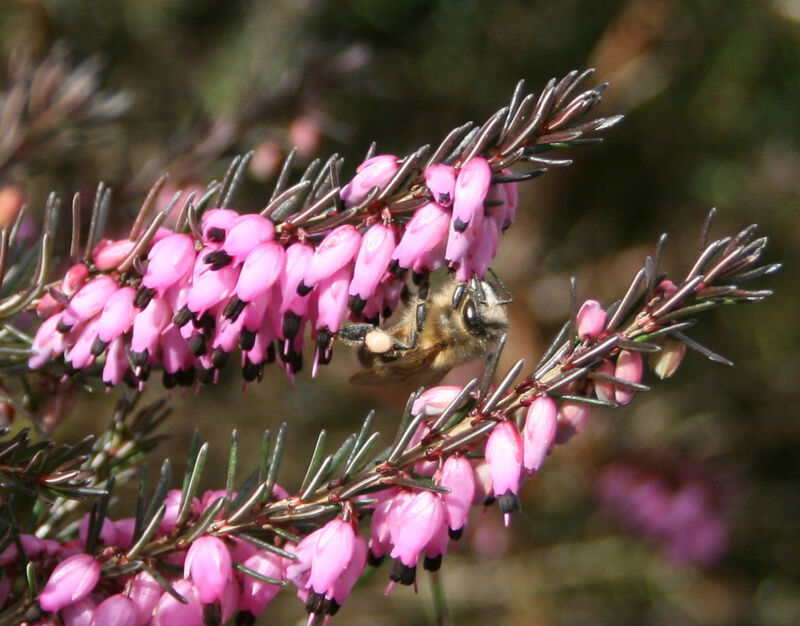 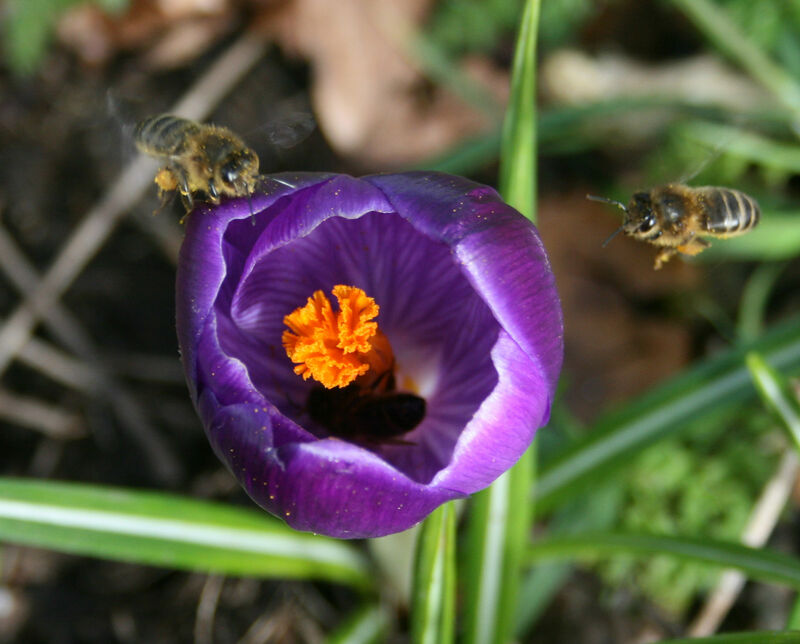 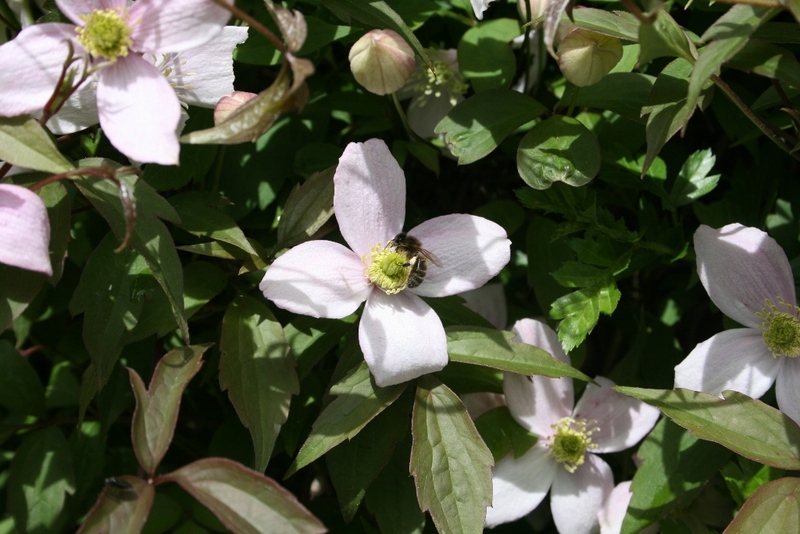 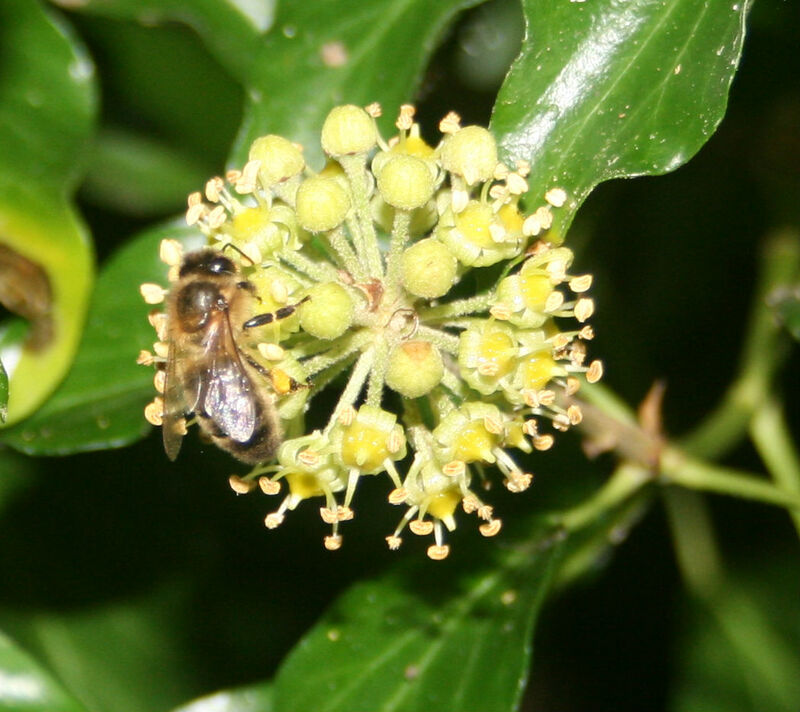 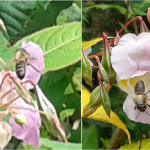 By the way – there’s always some doubt about the accuracy of the colour of pollen loads when rendered but where these bees are photographed on the flower – if the flower looks the right colour then the pollen load is probably pretty accurate too.